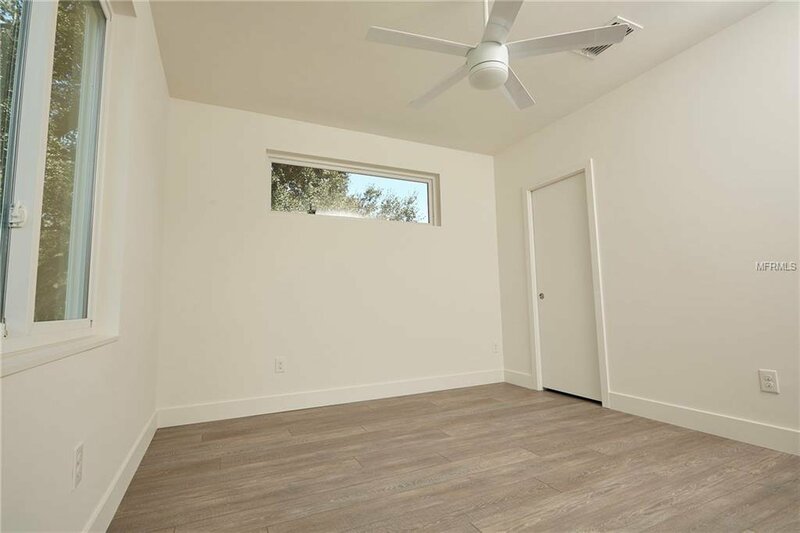 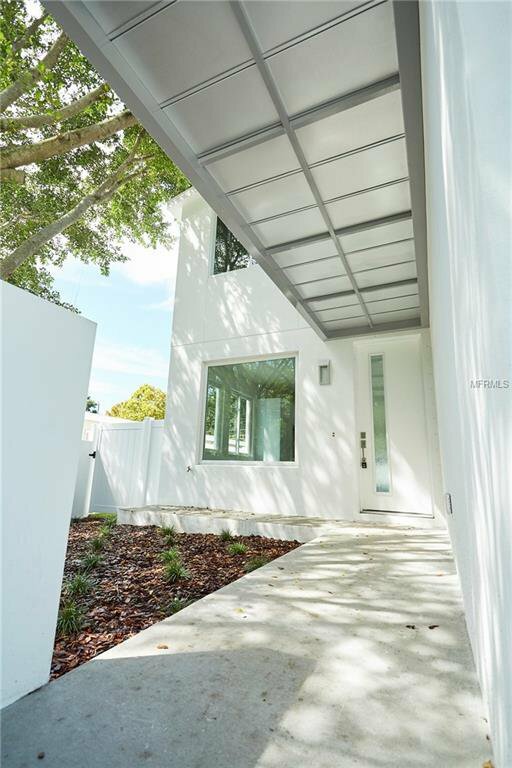 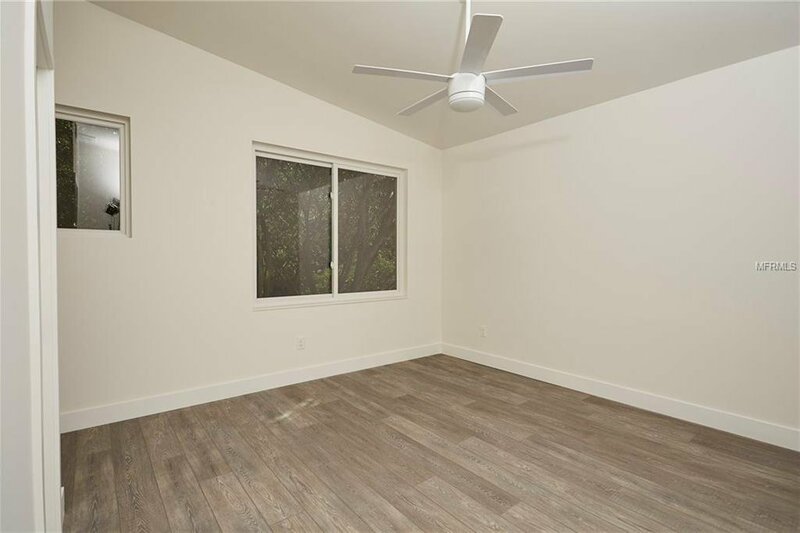 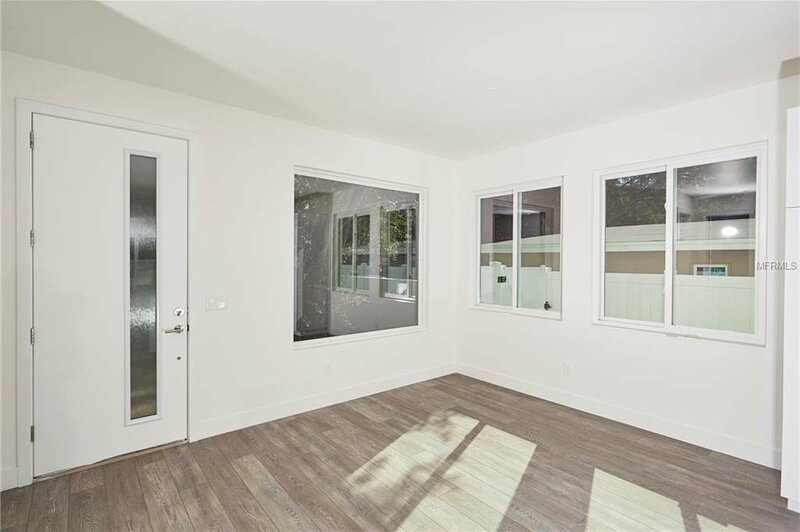 Kasper Modern and Cornerstone Building Concepts are proud to present a terrific new construction home in the fabulous Jungle Terrace neighborhood! 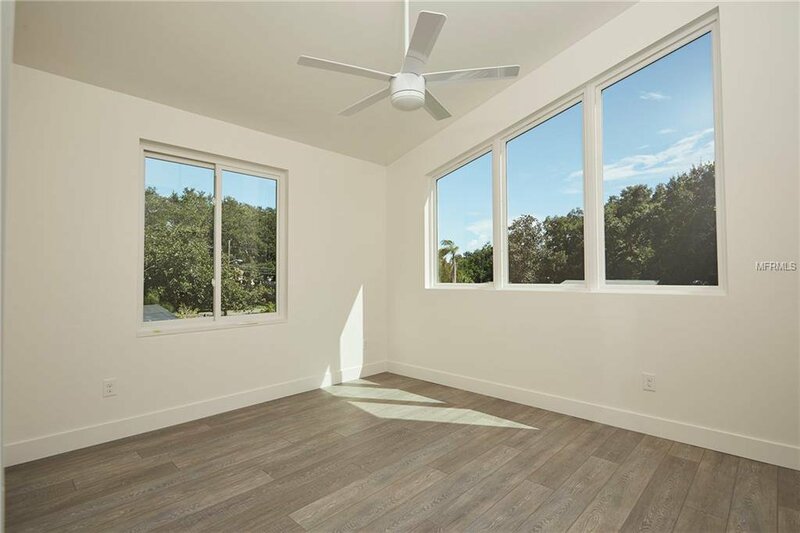 Just a ten-minute drive to the arts and dining in downtown St. Petersburg, yet equally as close to be enjoying sunsets at the beach in Treasure Island or Sunday brunch at the renowned Don Cesar resort. 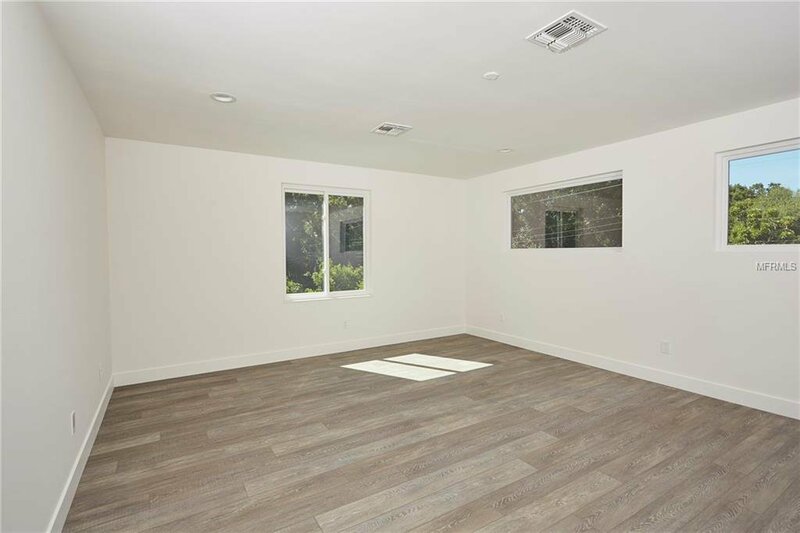 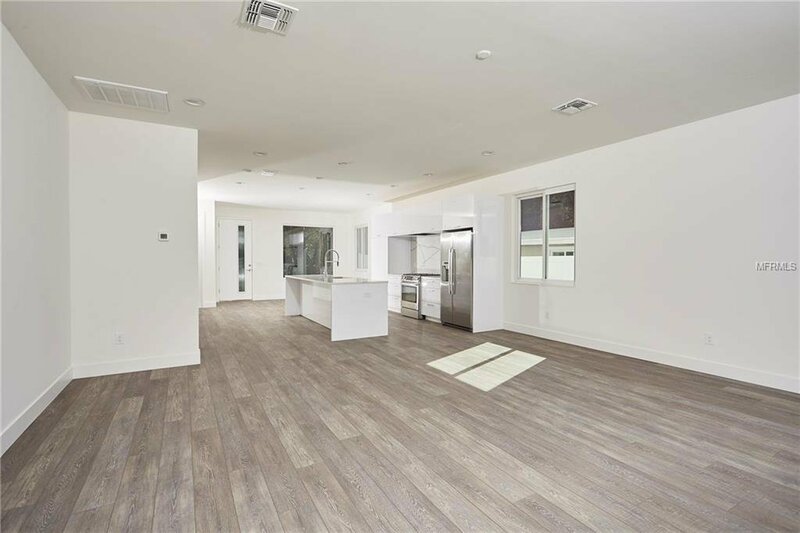 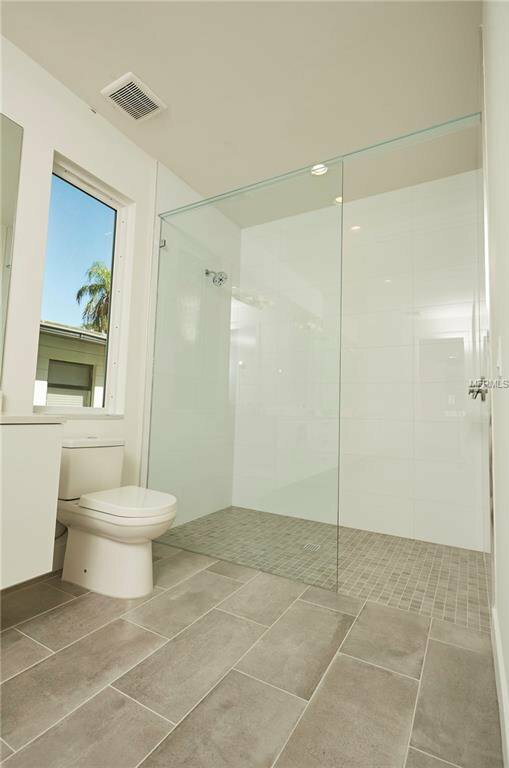 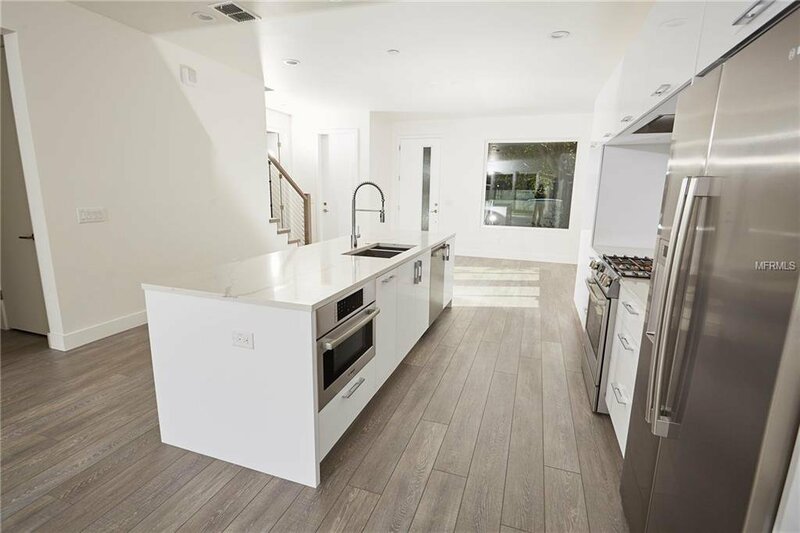 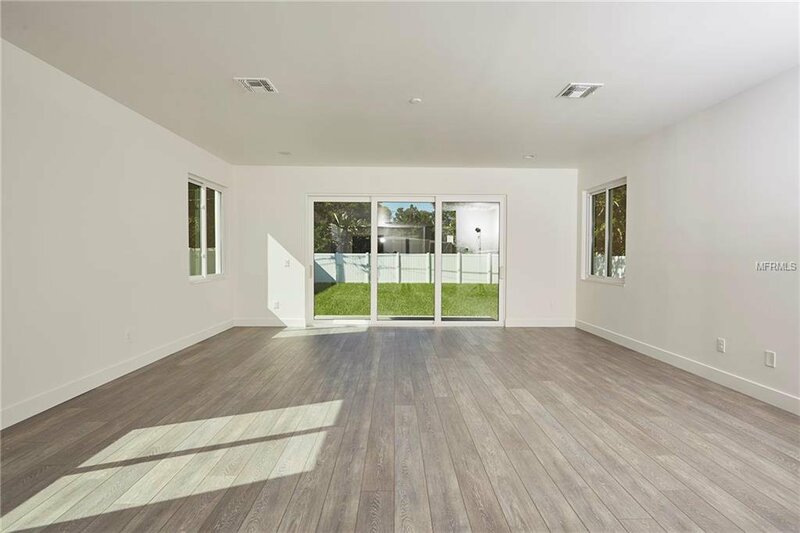 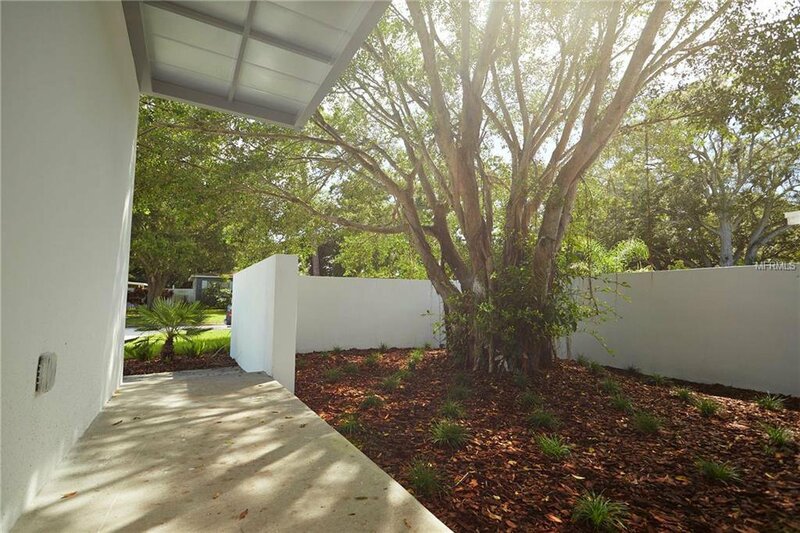 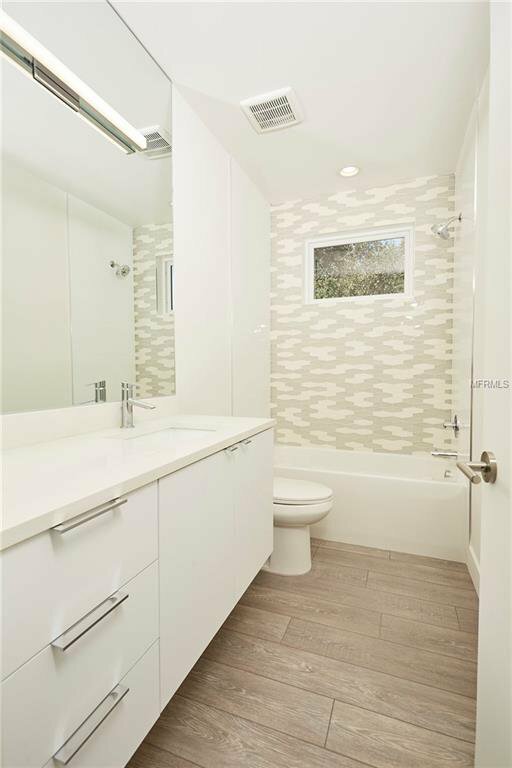 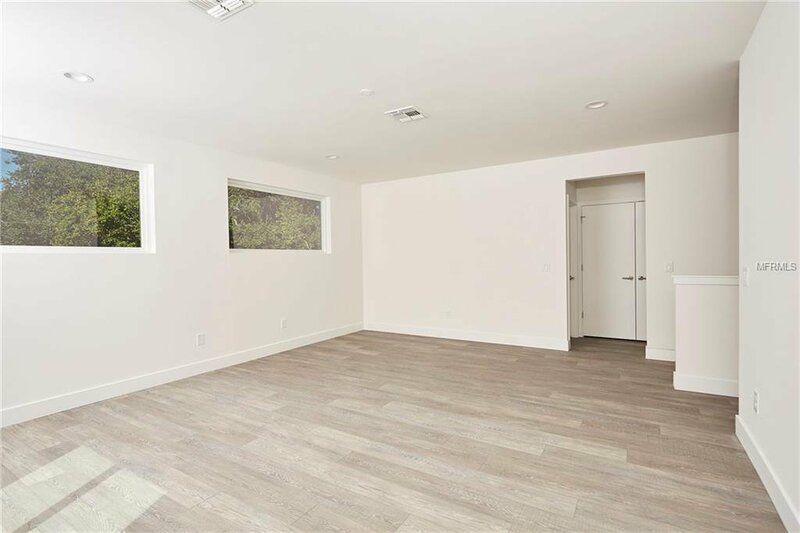 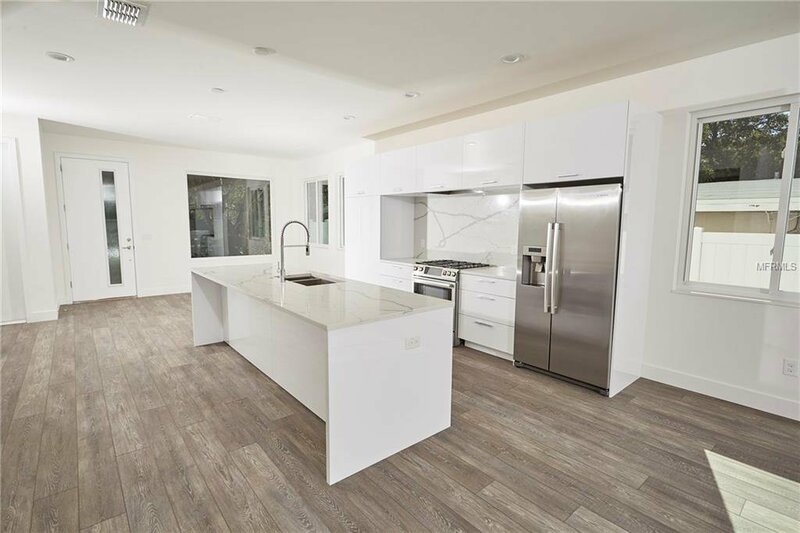 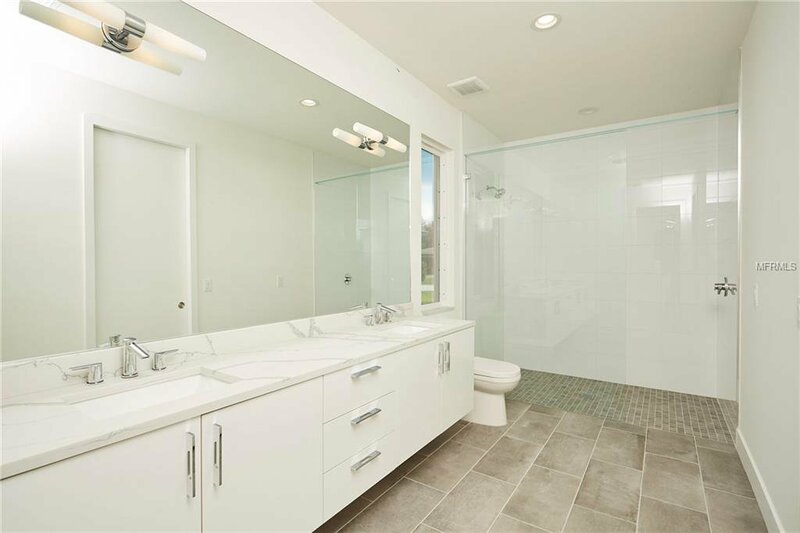 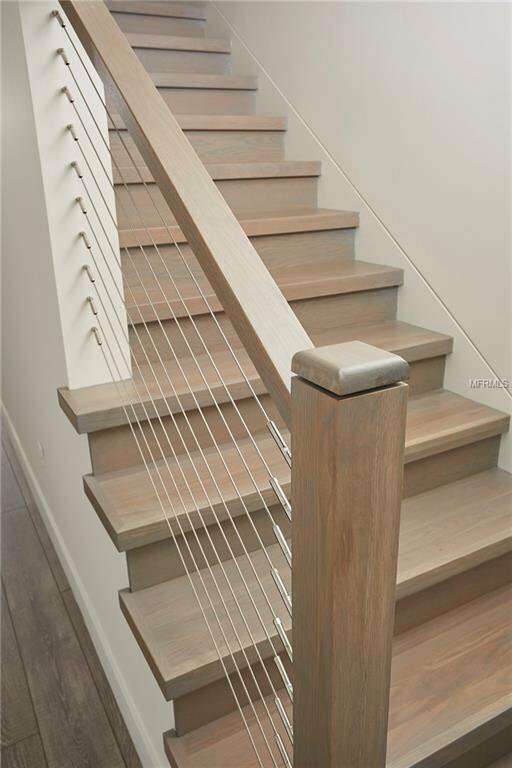 The convenience is coupled by the expansive and grand space of this clean and contemporary inspired Mid-Century Modern designed home with every feature discerning buyers have on their wish list. 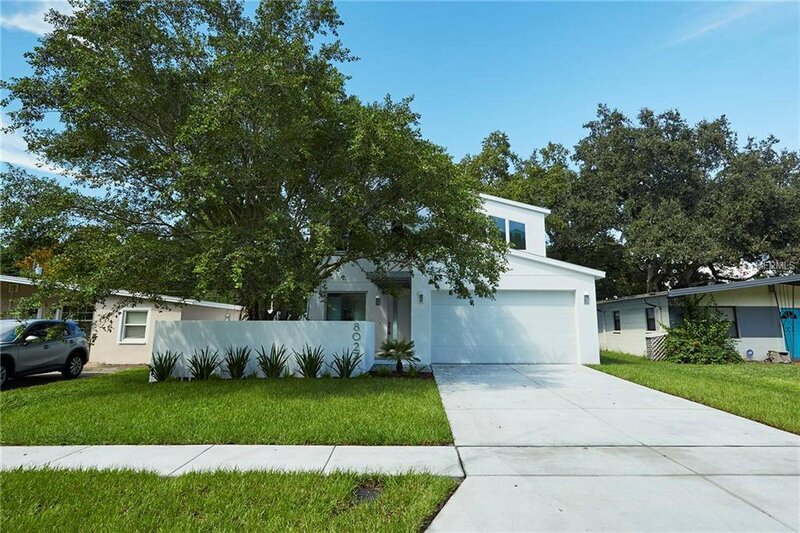 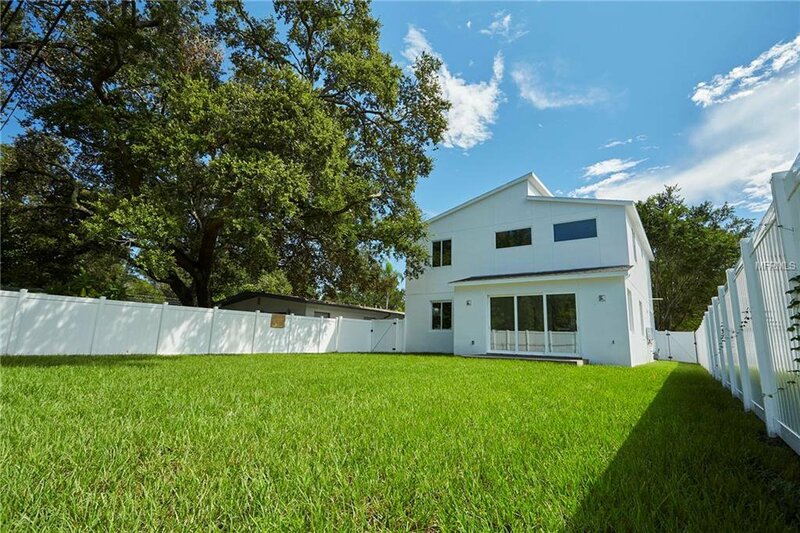 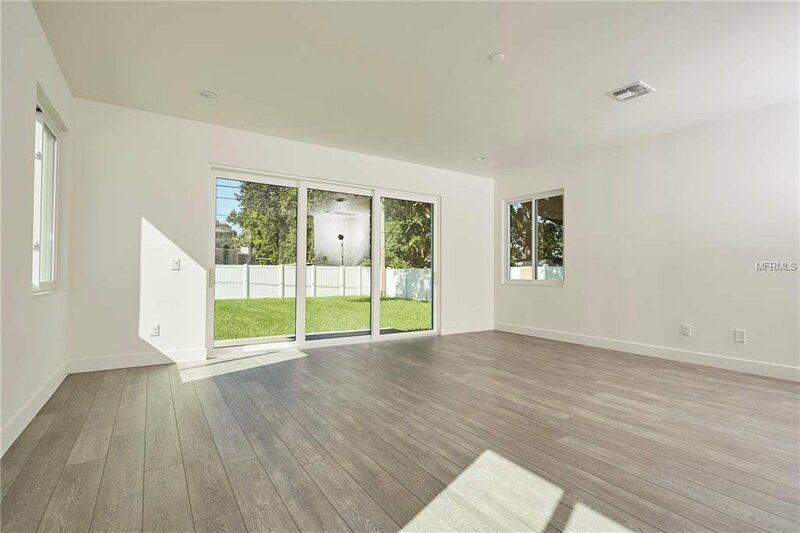 High ceilings and loads of windows let light pour in everywhere in this 2,638 SF, 4 bedroom, 3.5 bath home, yet the private courtyard and large fenced in backyard give plenty of privacy for family gatherings and hosting friends. 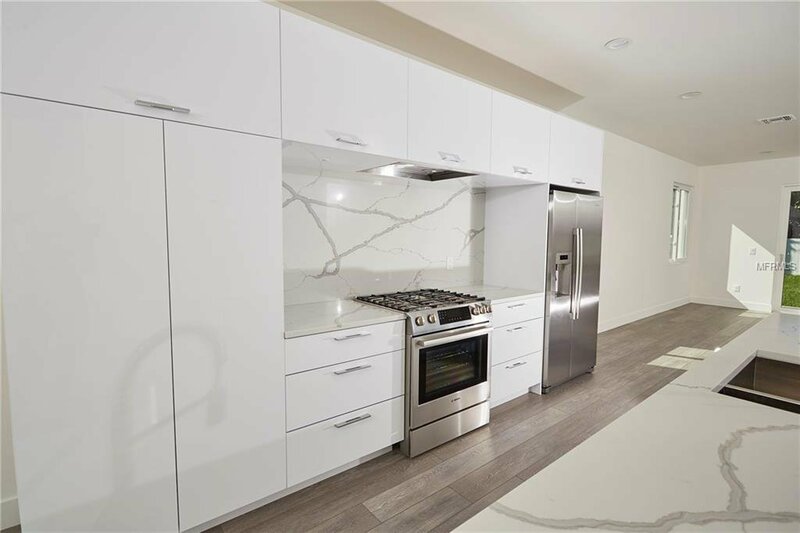 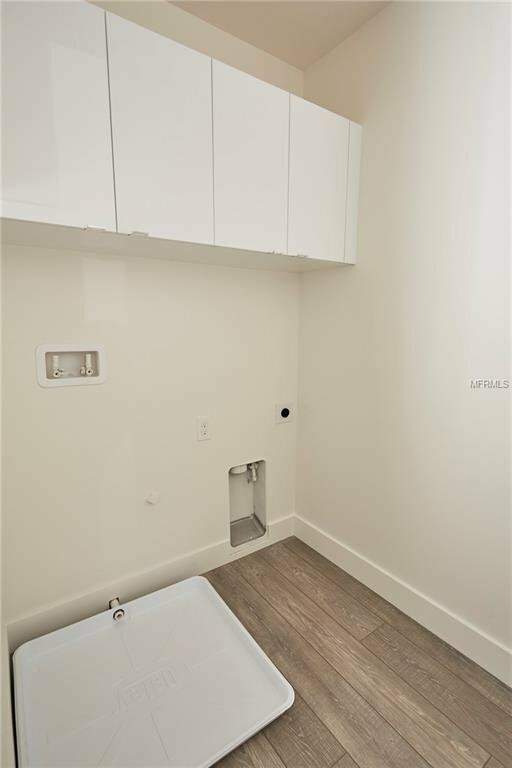 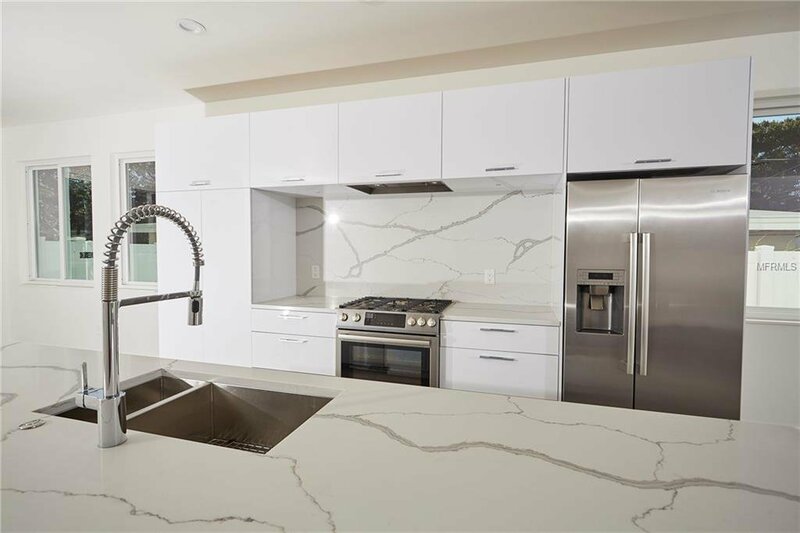 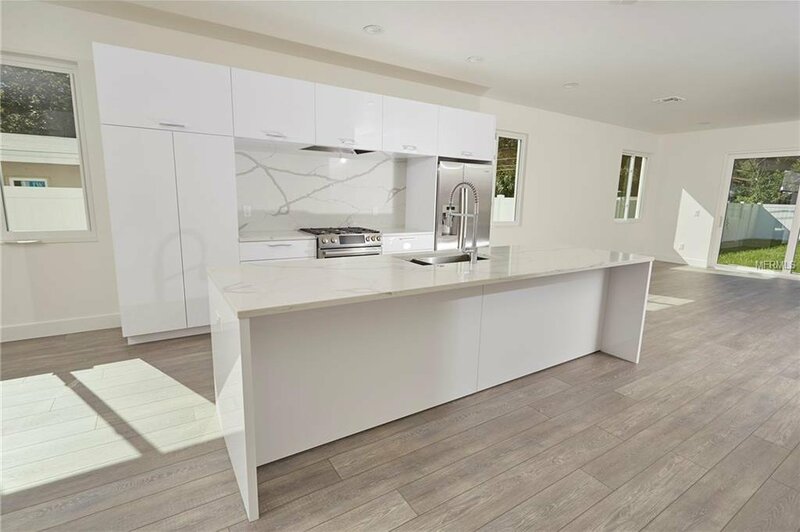 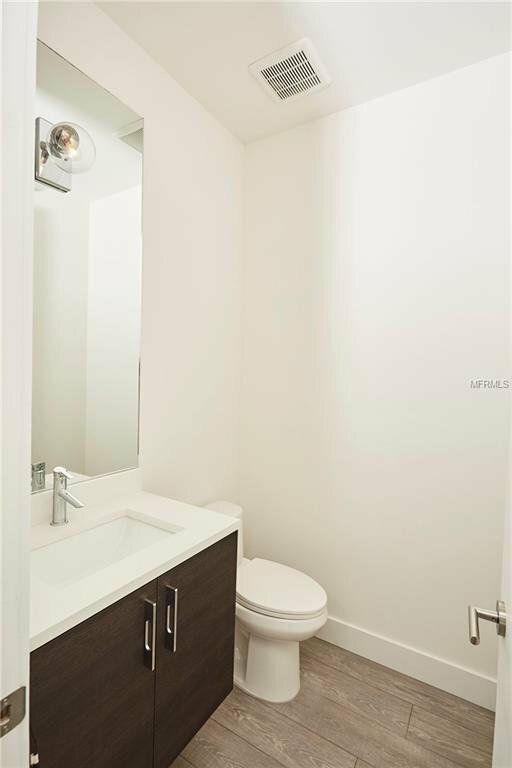 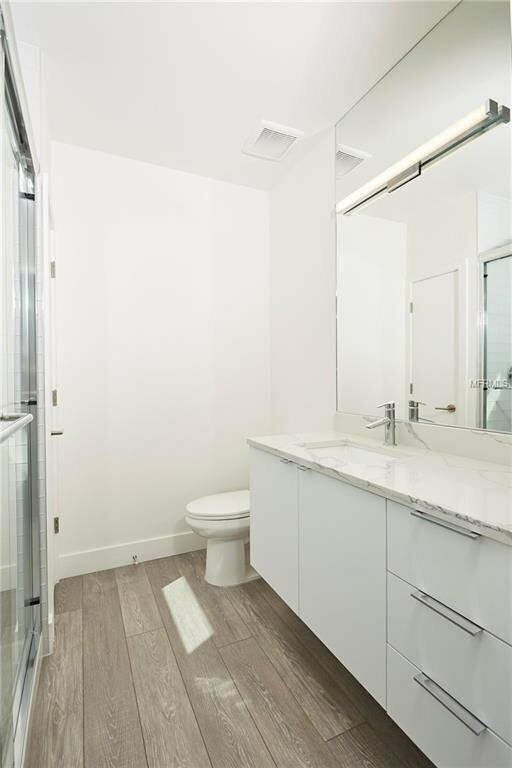 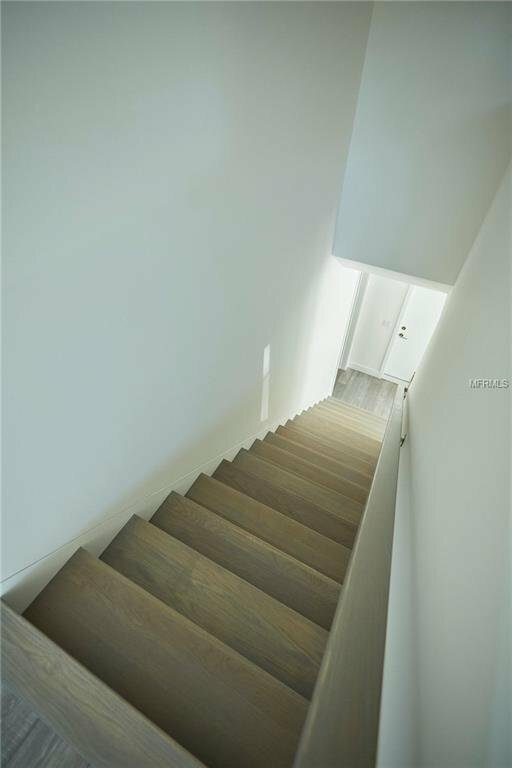 Solidly built construction with high-end finishes including luxury level quartz countertops, custom cabinetry, imported glass & porcelain tile, level 5 smooth drywall finishes and top of the line Bosch appliances. 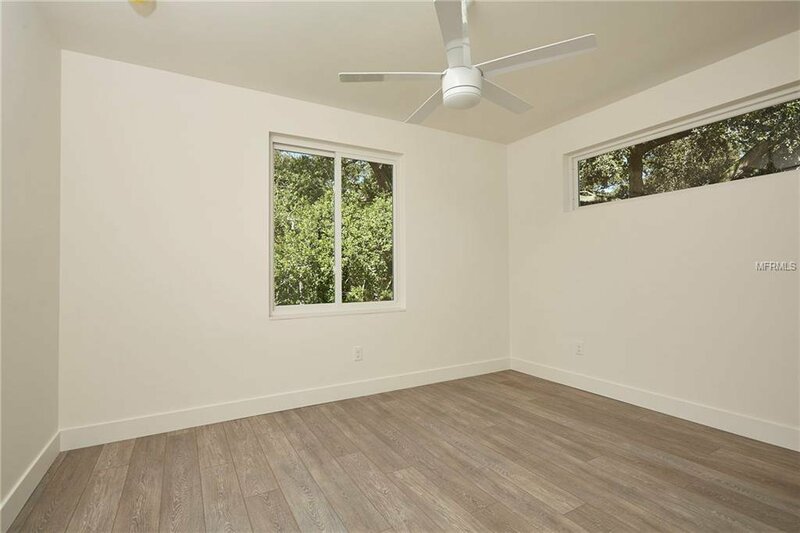 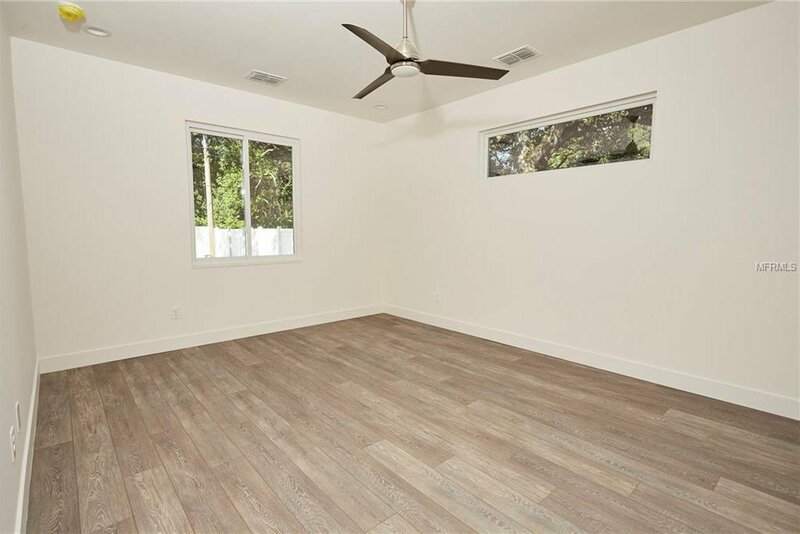 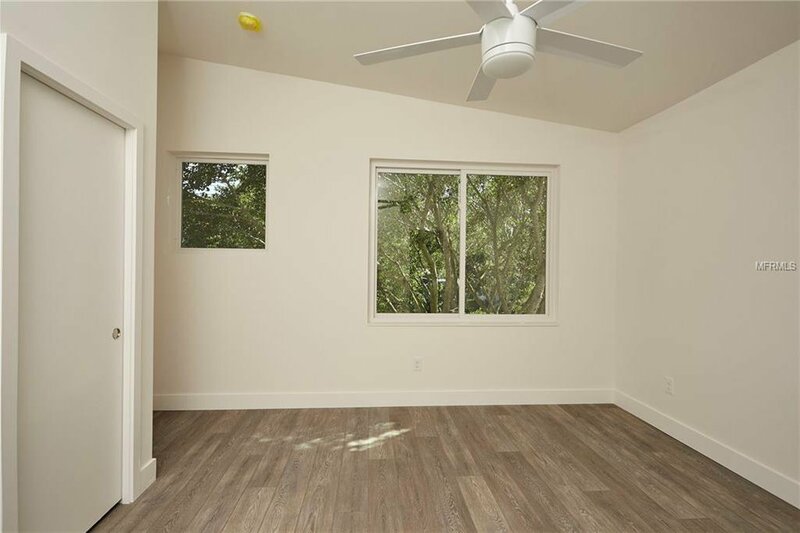 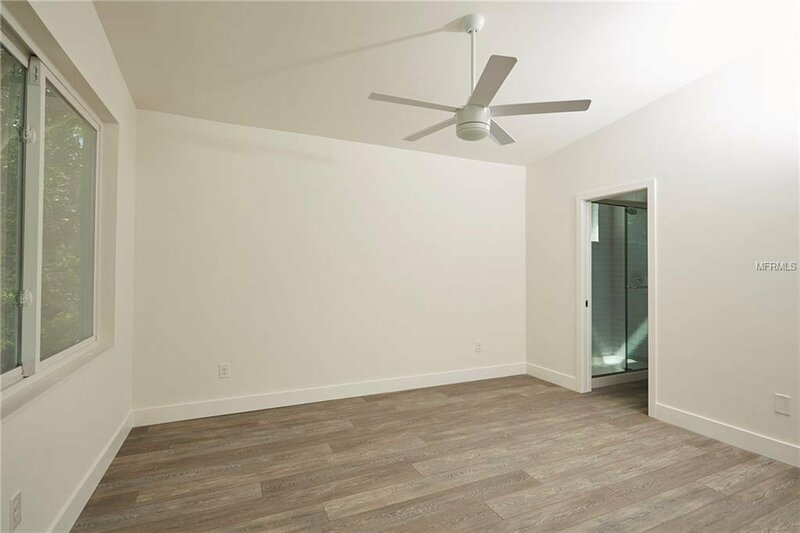 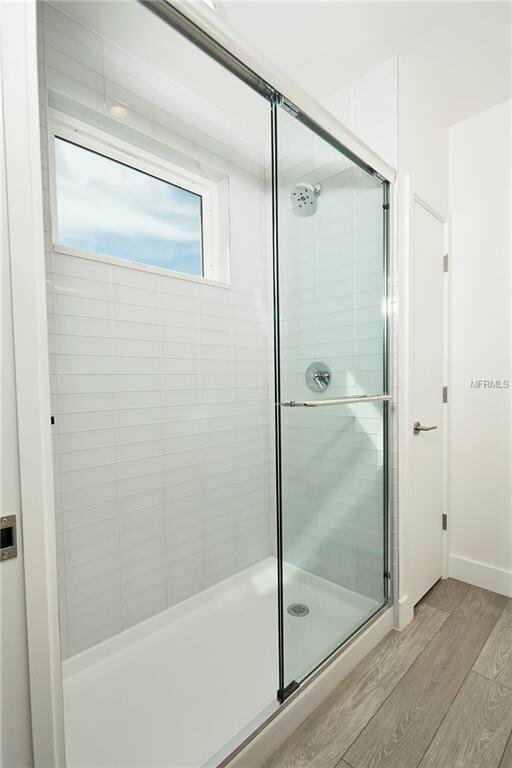 Beautiful, yet practical, you’ll love the efficiency and low-maintenance of the waterproof luxury vinyl flooring, the insulated vinyl windows, the tankless gas water heater, and 15 SEER Zoned HVAC system. 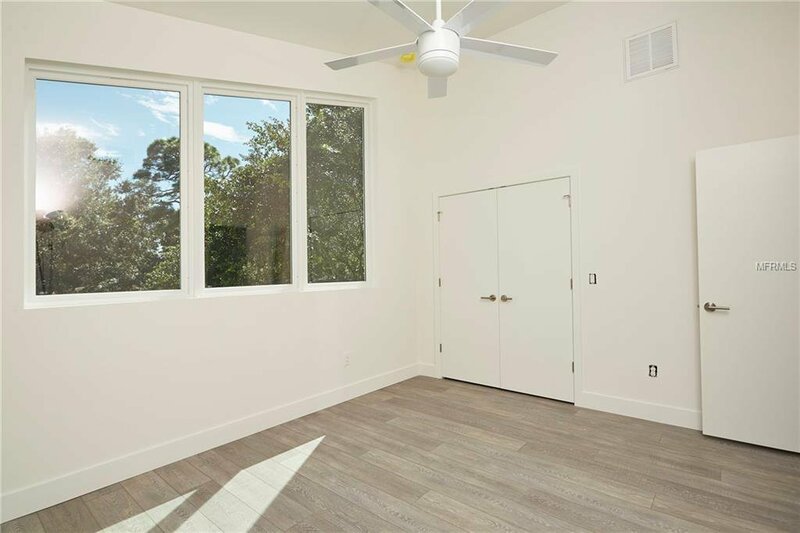 The thoughtful layout puts the master suite on the first floor, with a secondary living room on the second floor with the 3 bedrooms, including one en-suite for guests and family. 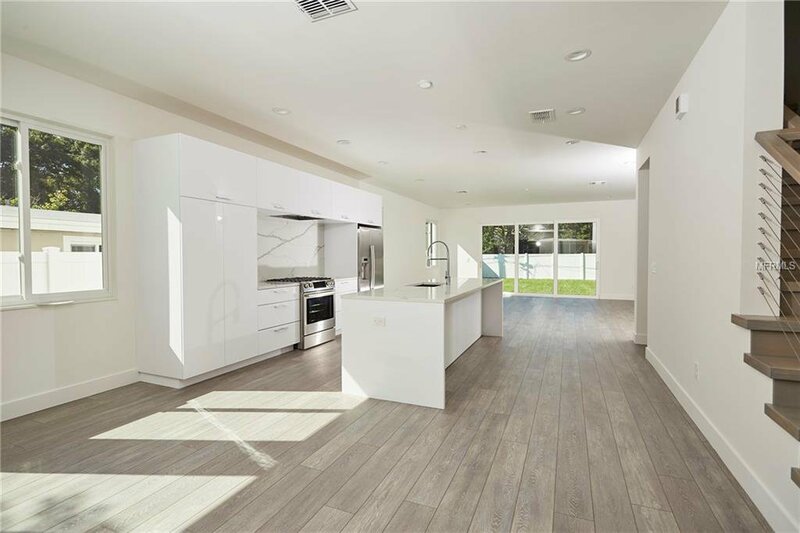 Elegant and efficient --- truly a showpiece offering --- seize this opportunity to own an enduring home at an affordable price. 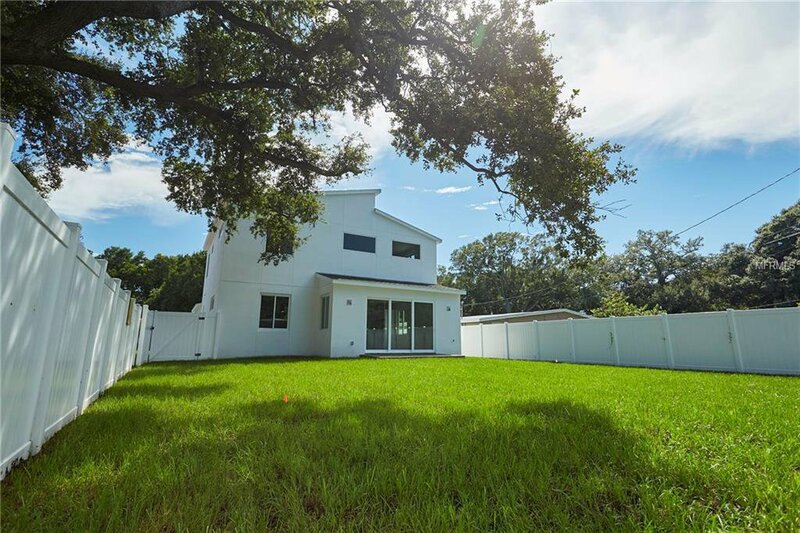 Listing courtesy of AMERI-TECH REALTY INC.